Spectacular Catalina Island, Ocean, Sunset, Mountain, and Valley Views… 4 Bedrooms (Main Floor Bedroom) Three Full Baths, Three Car Garage. High Vaulted Ceilings, Open Concept Floorplan, Gourmet Chef’s Kitchen with Granite Counter Tops, Stainless Stain Appliances. European Tile Flooring, Designer Carpeting, Lighting, Fixtures. New E-Glass Energy Efficient Windows and Doors. Central Air-Conditioning. Security System. Three Fireplaces. Formal Living Room & Formal Dining Room. Large Spacious Family Room. Interior Laundry Room. View Rear Patio with Stamped Stone Driveway & Walkways. Planter Walls. New Fencing. Fire Ring. Garage Storage. Water Purification System. Covered Entry. Cul-de-Sac Location. Quiet Secluded. Award Winning Capistrano Unified School District. No Mello-Roos Taxes. 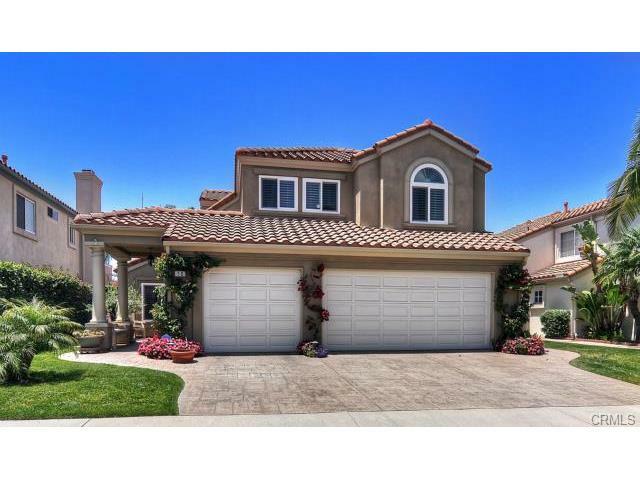 Close to Miles of Walking, Bike Trails, Tennis, Golf and World Famous Surfing Beaches.